1. 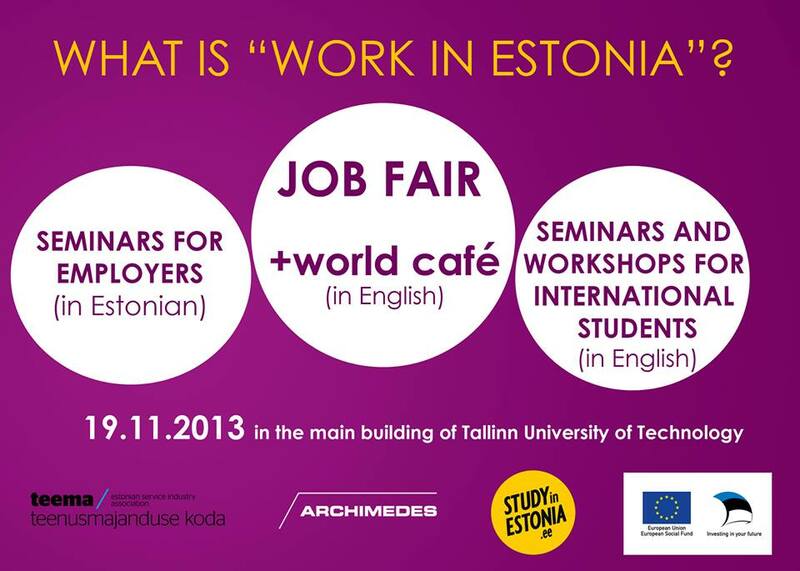 Show foreign students in Estonia what are the job opportunities for them in the market and encourage them to stay and work in Estonia when finishing their studies. 2. A seminar for employers to see the opportunities and challenges faced when it comes to attracting foreign talent. As an immigrant myself, I have always been fascinated by this topic so I was super happy when I was invited by one of the organizers to talk in the seminar for employers and share my experience as an expat working and living in Estonia. I was not expecting it to be of so much interest, but since it happened to be so I decided to share what I presented in the seminar here in my blog too and perhaps fill your curiosity or exchange points of view. Being my personal experience, everything I share here is nothing but subjective. So please, do not take my views as a final statement. Feel free to spit out your own thoughts or even questions in the comments’ section below. – Married or dating an Estonian (my husband is also Venezuelan). – An IT Professional (although one thing lead to another and I am now in IT project management). – Working in companies like Skype/Microsoft or the like. These are 3 very common reasons why you find foreigners living here and, at least at first sight, these are not mine. I called this the part that answers to the question of “Why I came to Estonia?”, although I did not really come to Estonia. I did not even know Estonia existed 6 years ago. I actually decided to leave my country. And why? I guess one of the reasons is my family’s background. My father is a Colombian who moved to Venezuela when things were better in the latter country. He then went back when the situation went in the opposite direction. He taught us to go get a good life wherever that was. To get to know places, languages, cultures. Starting from there I grew up thinking that staying were I was born and make a life there was going to be too familiar, comfortable, predictable and boring. It was going to be getting stuck. It was inconceivable. It was staying in “the comfort zone” and that was not good. So when I finished University I followed the steps of three of my siblings who had already moved abroad and had lived in one or two other countries before choosing a final one. I ended up going to “where the magic happens” and that happened to be Poland. Estonia came to the story because my husband Luis, who decided to join me in the plan of leaving our home country, got two offers: one from Czech Republic and another from Estonia. That is when we found out the country existed and that it was very “e”, perfect for his career (he’s a software developer). So he went there and I went to Poland. One year later I would join him in väike kauge Eesti* and so I guess that makes me a liar as I do fit in one of the 3 reasons I mentioned above. *That stands for little remote Estonia in Estonian language. – Had to go to public offices and queue. – Not always found someone who could speak (well) English. – Had to wait for at least 9 months to get married. – Found out the information online. – When contacting offices to be 100% sure of the info, communicating in English was easy. – We had to bring our passports, pay the fee and choose the date. One month after I came to Estonia we were getting married. You get my point: no bureaucracy, easy access to information, straight to the point. I also like that I do not have to waste time in traffic jams, or queue in the bank or spend 2 hours commuting. I can use all of that time in things that I care about. In here I try to answer to the question of “Why would I stay in Estonia for longer?”. Someone ones told me that Estonia was a like a white canvas: there were many things to get done. You could be one of the people doing them. I think is like a partially painted canvas. A lot is done, and a lot more can be done. You can be one of the artist painting on it. And because of the points mentioned above it is easy to do so. An example of this is when Luis, some friends and I decided to work on social projects (2009-2011). We did not have to waste much time registering or doing paper work. We could spend our time doing what was important. We managed to get to know a lot of people, organizations, get our stuff done which was not easy because of the nature of NGO projects, but easy (I am certain) compared to other environments. I have two different professions: Management and Spanish Teaching as a Foreign Language. My first job in Estonia was as a teacher in a language school. My first surprise was that everything was in Russian rather than Estonian. That is a reality that other immigrants do not always have to face (in places like Belgium or Canada, yes, but to me those are exceptions): having to understand two new foreign languages and their cultures and their differences. It takes time. It’s hard. Additionally, as I come from a culture in which everything is done like baboons or elephants (together), it is hard to find that here interactions at work (or outside of it) are limited to the necessary (at least in the first few years). One difficult anecdote that can give you an idea is when one day I asked a colleague (as I did every day for 2 years) “Hello, how are you doing”? and I got as as response “Why are you always asking that. You do not care how am I doing and is annoying so stop asking me that!”. That was a lady of about 60 years of age that, even if an English teacher, was not at all OK with opening herself to other cultures which you would guess someone who teaches a foreign language would do. That was my assumption about all my colleagues: foreign language teachers = open to foreign cultures. I was wrong. My closest bonds in this work place were with my students. My second job was at another language school, this one dedicated to teaching Spanish only and owned by a Spanish. My colleagues were usually from other Spanish speaking countries and if local, they had studied Spanish intensively and had lived in another country for at least a short period of time. This meant that I created bonds with my students but also with my colleagues. Now I work in a British company. I have Estonian and Russian-Estonian colleagues, as well as from other nationalities. I now have a circle friends outside the office built across these years here so I do not worry as much as I used to about the relationships at work. And if I had to, they are fine where I am at and it probably has to do with the variety of people in it. In here I sum up what I think are the offers available for foreigners and how does one build a life outside of work. The offers are: limited or self-made. Because of the complexity of the local language, you find very few people learning it to become fluent. This means having access to just a few job offers. On the other hand, because of what I explained in parts 2 and 3, it is very easy to start your own business if you want to (and have the guts to do so). The majority of foreigners I know work in IT or have their own business. Only a handful of them work in something else. Making local friends is a slow and difficult process, particularly if you come from a tribal culture like mine in which doing everything with someone and talking to just about anyone is the rule. Making friends with an Estonian will require a lot of dedication and patience. That is why most of my friendships have been built around International circles. There are Estonians in that circle, but they have an International mindset (they date a foreigner or have lived abroad or are simply interested in other cultures and languages). I think in my case the fact of being with my husband who comes from the same city that I come from also helps a lot. I will leave it until here and, I repeat it, if you have comments or questions feel free to shoot down there. I will be happy to keep the conversation around this topic going. I know I promised to finish the story on my summer hitchhiking trip. Yet, as soon as summer was over, occupations took over me (or me over them)…no, really, they took over me! 🙂 But the good thing is they have kept me nicely busy, though sometimes on the brink of insanity and desperation. I just wish days were longer. 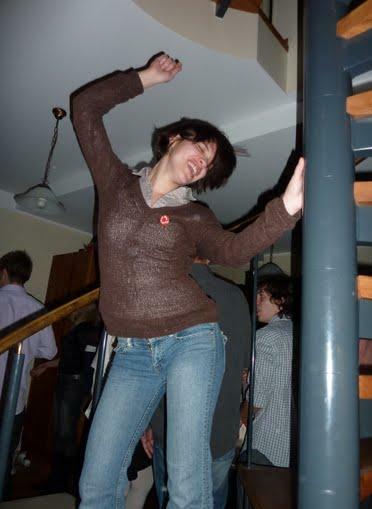 I’ve continued with my old job: 5 groups of students (2 merged), 2 new, one of them is thirteen people and the other: young ones that are driving me nut. Anyway, I am loving my old students more, and enjoying the process of getting to know the new ones. The task of learning while working is still hard, but I reckon that my masters has helped me too much! 🙂 It has kept me awake for long nights, specially weekend nights (funny not to be up on a Saturday night shaking it but, instead, rolling “the pip of the eye” (that’s a literal translation from Spanish!!!). I am almost finished with it…the hardest part starts just now: the thesis! But I know that what will come after it would be another goal achieved..so that keeps me going o. Though I also know the studying will go on forever…I need it to be better, and I enjoy it…honestly. No…really!